After Thanksgiving, it just gets harder and harder to do homeschool lessons through the end of the year, doesn’t it? This year, I’m trying something new! Let me show you how to replace your regular elementary curriculum with holiday-themed curriculum this December. I’m going to use the 6 Christmas-themed products to accomplish this. This will allow me to sneak in some low-prep and fun learning for the holiday season. We’ll learn about Christmas traditions around the world, enjoy listening to and singing Christmas carols, explore a classic Christmas story, and delve into an Advent nature study. We’ll even do fun holiday-themed science experiments. I’ve decided that this will be our main elementary curriculum in December this year! I’ll share below how I plan to use these ecourses and ebooks as a replacement of our regular curriculum (except for math and handwriting and required reading for our co-op). Disclosure: I get commissions for purchases made through links in this post. Now, I’ll tell you about each product, and then I’ll share my actual lesson plan as a download below. Christmas Around the World Online Unit Study is a fun online unit study from Techie Homeschool Mom. I love that these unit studies include practically everything online, so no other materials or books are needed. Students will design a digital scrapbook page using a graphic design app. Advent: Nature Study Through the Holidays is a really unique ebook curriculum from Cindy West of NaturExplorers. It’s is just what you need to prepare your children’s hearts for Christmas! Weekly focus on various parts of the Christmas story in the four weeks leading up to Christmas. Low-stress curriculum! Use it once per week of Advent or every day. Exciting nature study activities allow your children to concretely ponder upon the weekly Advent themes. Eight full-color notebooking pages are included! Use the six brand new music lessons from the Music of Christmas Mini-Course , plus the five bonus lessons, to learn about Christmas carols, Christmas songs, and other Christmas music that is sure to get you and your students in the holiday spirit! Each lesson will only take 15 minutes, because who has more time than that during the busy holiday season? How the Grinch Stole Christmas Book Club is a fun way to add a literature study to your December. You’ll read the book, How the Grinch Stole Christmas. Then you’ll go on rabbit trails of discovery about Christmas, Mistletoe, Santa Claus, and more! Toss some magic dust in the air and do some hands-on projects as well. When you’ve finished the book, you can throw a party and celebrate like the Whos in Who-ville! Smart Start Science: Science Experiments for Christmas provides low-prep, hands-on experiments and activities specifically designed for K-2 students, but I’m using it for 1st-6th grade. This specific pack, “Experiments for Christmas” includes five complete experiments and follow-up activities that are sure to add a little holiday fun to your classroom. Students work their way through the scientific method using the step-by-step science journals. There are also scientific method posters (color and bw) included with this pack to help your students through research and discovery. Each experiment includes a follow-up activity for added learning. My Holiday Lesson Plan using these 6 ebooks and ecourses. We go to our homeschool co-op on Wednesdays, so I will use the above courses and ebooks 4 days a week for 4 weeks with my elementary-aged kids from November 26, 2018 – December 21, 2018. Each of these activities will take 1-2 hours per day to complete, leaving us time to do our co-op lessons, math, phonics, and handwriting. Advent: Nature Study Through the Holidays p. 7 Read Scripture and about evergreens. How the Grinch Stole Christmas Book Club Read the book How the Grinch Stole Christmas. Christmas Around the World Online Unit Study Germany lesson and make heat engines (get supplies). Advent: Nature Study Through the Holidays p. 9 Read Scripture and talk about light. How the Grinch Stole Christmas Book Club “Reading and Vocabulary” (get journal to write in). Music of Christmas Mini-Course “White Christmas” lesson. Christmas Around the World Online Unit Study Ghana lesson with Kente cloth project (get supplies). Advent: Nature Study Through the Holidays p. 8 Go on cone hunt nature walk. How the Grinch Stole Christmas Book Club: Christmas Fun Facts lesson. Christmas Traditions Online Unit Study: The History of Christmas lesson. Advent: Nature Study Through the Holidays p. 9 Red & Green hunt nature walk (print note booking page). Smart Start Science Crystalized Christmas Tree experiment (get supplies and print note booking sheets). Music of Christmas Mini-Course “Nutcracker” lesson. Christmas Traditions Online Unit Study: Christmas Traditions Around the World lesson. Advent: Nature Study Through the Holidays p. 13-14 Read Scripture and decide which nature walk to do this week. How the Grinch Stole Christmas Book Club: Christmas Around the World and create Grinch Ornaments (get supplies). Christmas Traditions Online Unit Study: Your Family’s Christmas Traditions lesson. Start Padlet digital scrapbooking page. Advent: Nature Study Through the Holidays p. 13-14 Do the nature walk that was chosen yesterday. Christmas Traditions Online Unit Study: Finish Padlet from yesterday and do Spreading Christmas Cheer lesson–choose a service activity and put it on the calendar. Advent: Nature Study Through the Holidays Work on memorizing a verse or passage from the study. Music of Christmas Mini-Course “Joy to the World” lesson. How the Grinch Stole Christmas Book Club Talk about the characters, setting, and plot of the book. Christmas Around the World Online Unit Study Sweden lesson and make paper heart baskets (get supplies). Advent: Nature Study Through the Holidays Write down and decorate a verse they’re memorizing. Smart Start Science Marshmallow Bridges experiment (get supplies and print note booking pages). Music of Christmas Mini-Course “O Holy Night” lesson. Christmas Around the World Online Unit Study Japan lesson and do Japanese gift wrap (get supplies). Advent: Nature Study Through the Holidays pp. 17-18 Read Scripture and the lesson. How the Grinch Stole Christmas Book Club What is a Tradition? lesson. Music of Christmas Mini-Course “Silver Bells” lesson. Advent: Nature Study Through the Holidays pp. 19 Do “Fields” nature walk. Christmas Around the World Online Unit Study Mexico lesson and make Mexican hot chocolate (get ingredients). How the Grinch Stole Christmas Book Club Stocking Traditions lesson. Advent: Nature Study Through the Holidays Review memory verses and do Tame vs. Wild note booking page (print page). How the Grinch Stole Christmas Book Club Mistletoe Traditions lesson. Christmas Around the World Online Unit Study The Philippines lesson and make Paper Parols (get supplies). Advent: Nature Study Through the Holidays Review memory verses and do Findings in a Field note booking page (print page). Smart Start Science Reindeer Races experiment (get supplies and print note booking pages). Music of Christmas Mini-Course “In the Bleak Midwinter” lesson. Christmas Around the World Online Unit Study France lesson and make glass Christmas balls (get supplies). Advent: Nature Study Through the Holidays pp. 22-24. Read Scripture and lesson. 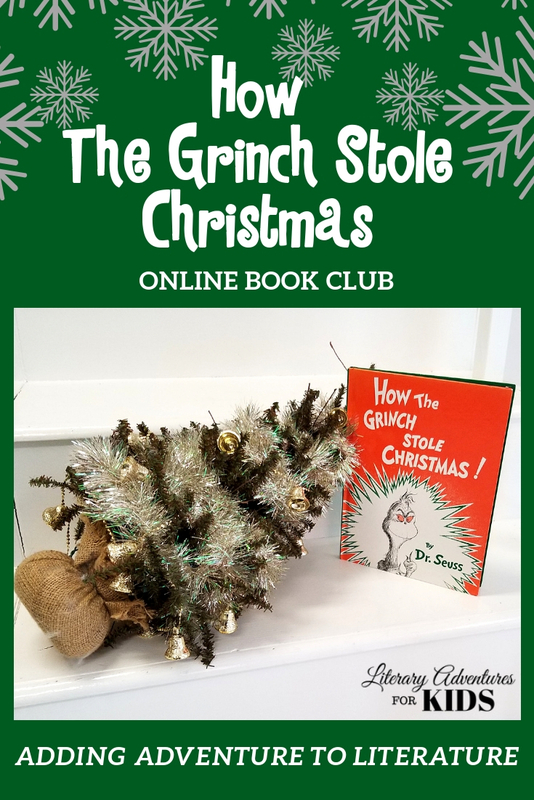 How the Grinch Stole Christmas Book Club Christmas Tree and Wreath Traditions lesson. Christmas Around the World Online Unit Study Brazil lesson and make cardboard roll Nativity set. Advent: Nature Study Through the Holidays p. 23. Review memory verses and make edible ornaments for outdoor birds (get supplies). Christmas Around the World Online Unit Study Australia lesson and listen to Australian Christmas carols. How the Grinch Stole Christmas Book Club Christmas Feasts lesson and make some of the Food for lunch (get ingredients). 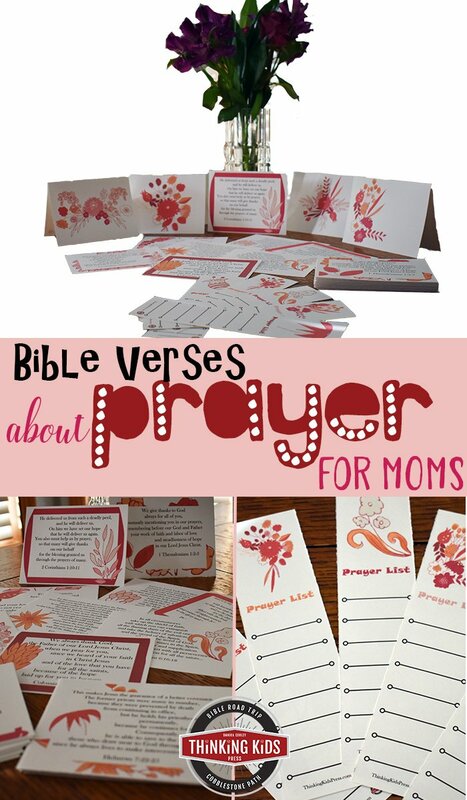 Advent: Nature Study Through the Holidays p. 23 Review memory verses and make handmade cards with nature finds (get cardstock). How the Grinch Stole Christmas Book Club Who was Dr. Seuss lesson. Christmas Around the World Online Unit Study Russia lesson and make Pryaniki (Russian Spice Cookies) (get ingredients). Advent: Nature Study Through the Holidays p. 23 Review memory verses and make “simmering pots” (get ingredients). Smart Start Science Moving Christmas Star experiment (get supplies and print note booking pages). Music of Christmas Mini-Course “Carol of the Bells” lesson. How the Grinch Stole Christmas Book Club Dr. Seuss quotes lesson and watch a Grinch movie (get the movie from the library or check Netflix). The Supply List is included in the Lesson Plan download at the end of this post. Turn your HOMEschooling into HOLIDAYschooling!